Our casual Patio dining is considered one of the finer outdoor dining experiences in the Merrimack Valley. 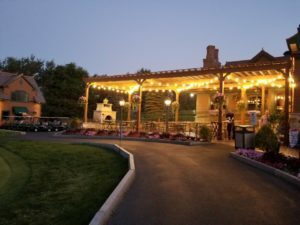 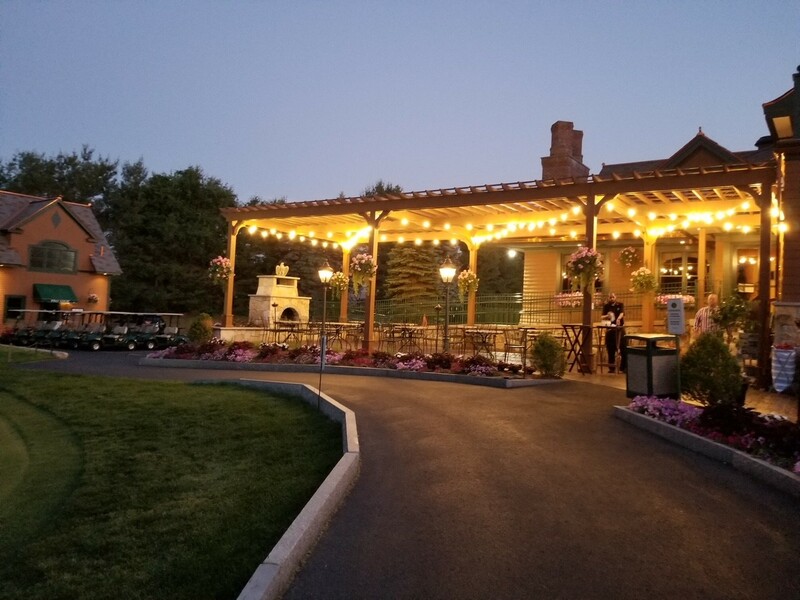 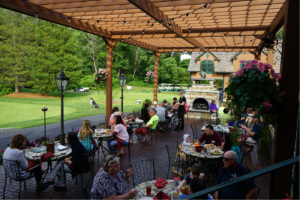 The Patio is surrounded by a manicured golf course, ponds and fountains and operates May through September, weather permitting. 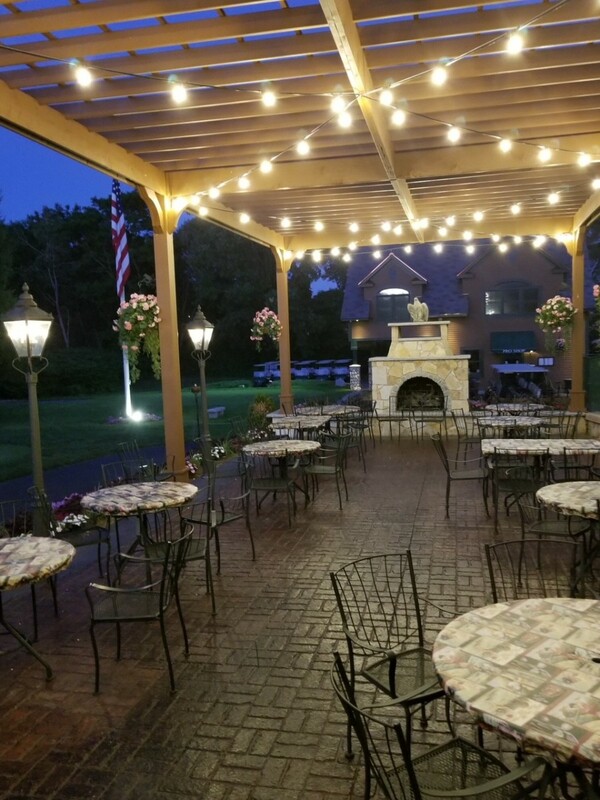 We have added an outdoor fireplace to the Patio and recently added tables so we can accommodate larger parties. 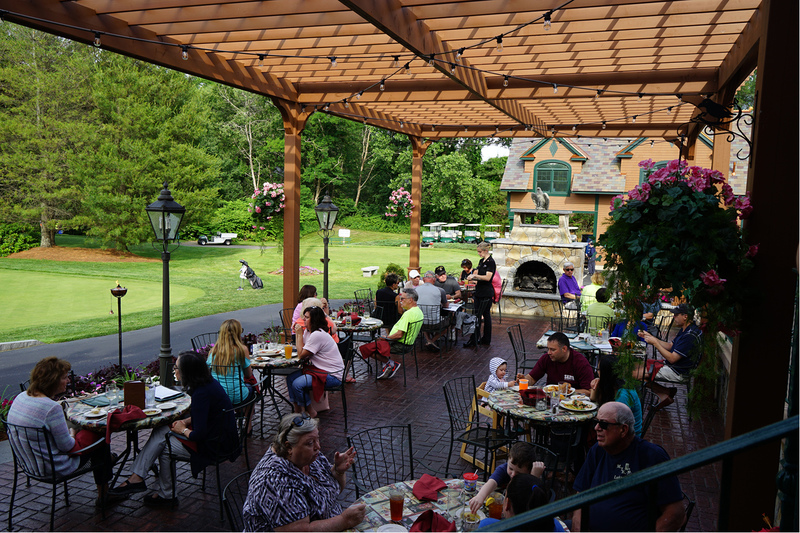 The complete Tew-Mac Tavern menu and full-service bar is available on The Patio.